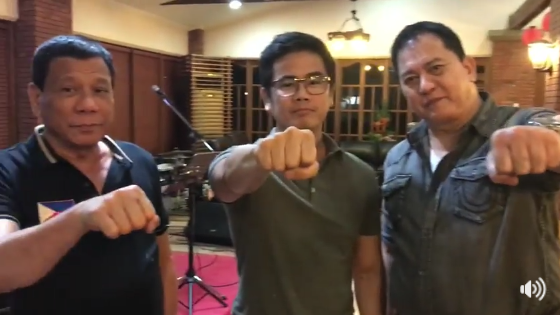 Jimmy Bondoc, a Filipino Pop singer, shared his sentiment about his purpose and aspirations in life through a video post on Facebook with President Rodrigo Duterte and Filipino actor Philip Salvador. 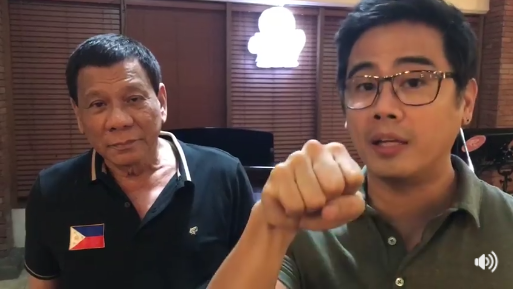 Jimmy was actually not sure as to what is his purpose and why is he here, but one thing for sure, he wants to be the voice of the Filipinos and to protect the President from people who are trying to destroy him. 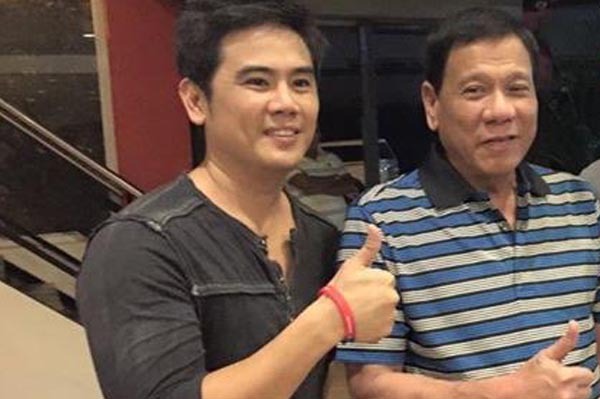 He believes that the reason why Duterte was elected to be the President of the Philippines is because, they believe in him and they know that what he is doing are for the betterment of the country. This post of Jimmy gained supports from the netizens and was shared by 1.3k netizens as of 3:14 AM, October 24, 2017. 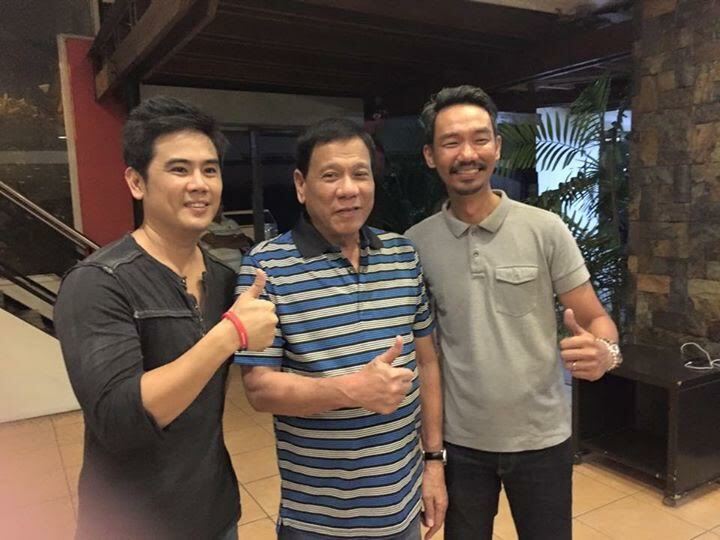 "Ako po ay isang NAPAKALIIT LAMANG na bahagi ng isang napakalaking kaganapan sa ating kasaysayan. Bakit ako naririto? Hindi ko alam. Itanong natin sa Panginoon. Pero ito ang aming Pangako: ang nag-iisang pangarap namin ay maging BOSES lamang. Wala nang iba. Tulad ng socmed warriors kanina sa Tapang at Malasakit. Gusto lang namin maging boses ng masa, at protektahan ang Pangulo na pinili ng nakararami upang paunlarin ang bayan. "Kung ang boses natin ay ang nais GAMITIN ng Panginoon upang mangyari na talaga ang tunay na pagbabago, then I offer my voice, life, and freedom to you, Lord, and to you, my COUNTRYMEN. "If, in a few more months, corrupt agencies and officials STILL REFUSE to change their ways, then we will need a PEACEFUL REVOLUTION, by granting our leader revolutionary powers in order to correct the ills that continue to plague our nation, often victimizing the poorest of the poor. "We need this change. I'm sorry, to those who disagree. The agencies must change, and the laws must change. If you are afraid of Revolutionary Government, THEN STOP DESTABILIZING THIS GOOD GOVERNMENT. 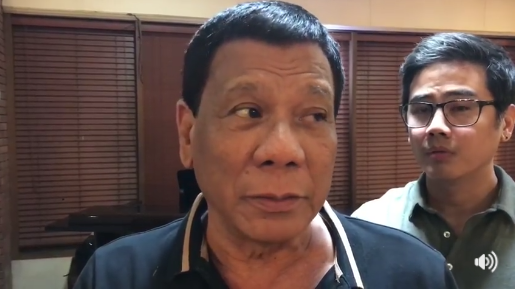 "Kapag natuloy ang RevGov, ang mga destabilizers ang sisihin niyo, tulad ng mga sinungaling na pumupunta pa sa ibang bayan para lang siraan ang Bayan Kong Mahal. "God be with us all. Let His Will be done.